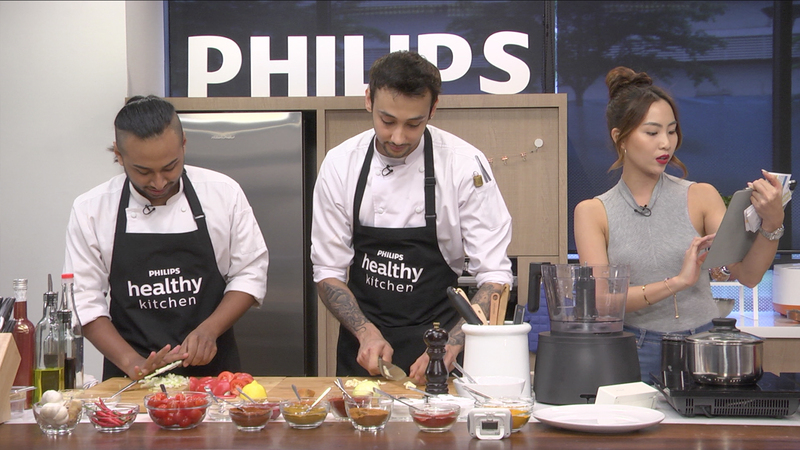 Lunar Films teamed up with Show Director Julius, bringing to life delicious and healthy meals prepared with the Philips Communicate Airfryer on the Philips Healthy Kitchen live show. Click here to view the full live show. Inspired by fans' requests, this show concept sprouted from IRIS and is hosted by DJ Sonia Chew (FM98.7) and Chef Sam Chablani (Fat Lulu's).